High Street Fashion, Celebrity Style, Hairstyles and Beauty - Look Magazine | Prize Draw - Win a Year's Supply of Fentimans! Win a Year's Supply of Fentimans! Win a year's supply of Fentimans soft drinks and mixers! These soft drinks and mixers can be enjoyed on their own, or with a spirit of your choice to create a delicious cocktail. Fentimans, an original craft drinks company founded in 1905, is owned by Eldon Robson, the great, great-grandson of the original Thomas Fentiman. Fentimans beverages and mixers are crafted with knowledge and expertise passed on from generation to generation. By sticking to the time-honoured botanical brewing technique, and with the use of natural ingredients, all their exquisitely crafted drinks have a superb depth of flavour, complexity, 3 dimensional mouthfeel and unsurpassed quality. 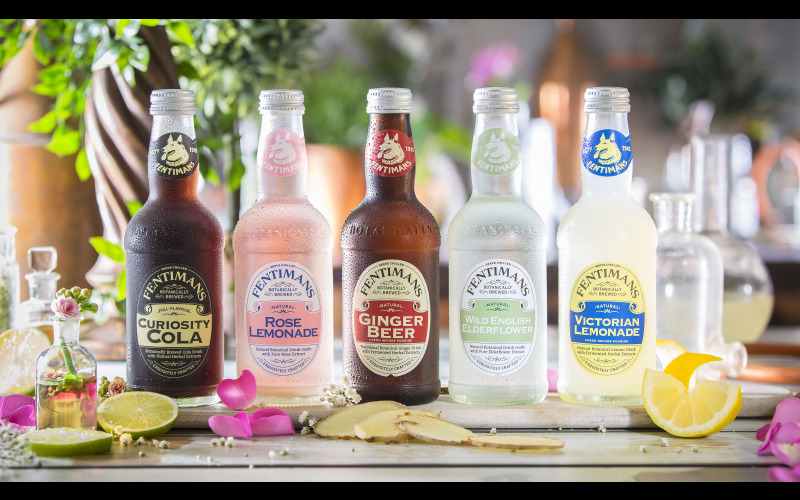 All Fentimans drinks are free from artificial, flavours, sweeteners, colours or preservatives and all the distinctive flavours are produced by hand from the finest ingredients from Chinese Ginger root to Rose Oil from the world-famous Rose Valley in Kazanlak, Bulgaria. Fentimans has gone on to be a British success story, now producing more than 20 products and exporting to over 70 countries. They have expanded from their original Ginger Beer to include a full range of award winning exquisitely crafted beverages.